When considering Massachusetts’ Speedy Ortiz, that line from Virginia Woolf comes to mind. Not only for the obvious echoes to DIY, a form and function that’s characterized the band’s nascency, but in the proto-feminist undertones driving much of their sophomore album, Foil Deer. “I’m not bossy, I’m the boss,” Sadie Dupuis sings on “Raising the Skate,” invoking in spirit one half of the Carter-Knowles clan and echoing the other’s wordplay. And wordplay makes sense, considering Dupuis-the band’s songwriter, guitarist, and frontwoman-spent the band’s first few years teaching writing at UMass Amherst. She’s drawn to the dense complexity of Pynchon, the dreamlike geometry of Bolaño, the confounded yearning of Plath-all attributes you could easily apply to the band’s 2013 debut Major Arcana, which fans and press alike have invested with a sense of purpose and merit uncommon in contemporary guitar rock. 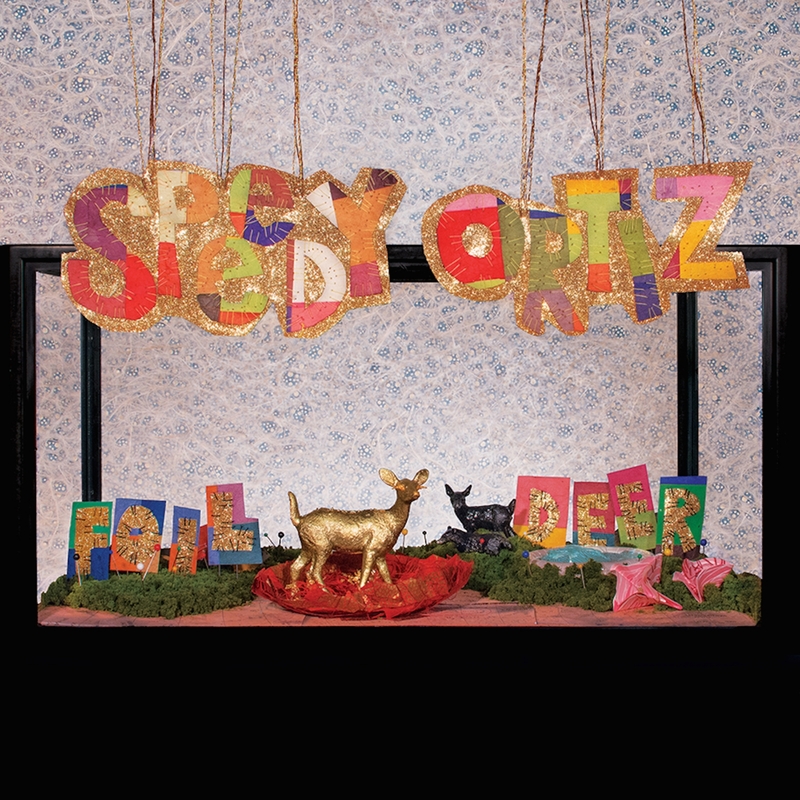 And while their debut album was recorded on the fly, Speedy Ortiz spent almost a month in the studio on Foil Deer. 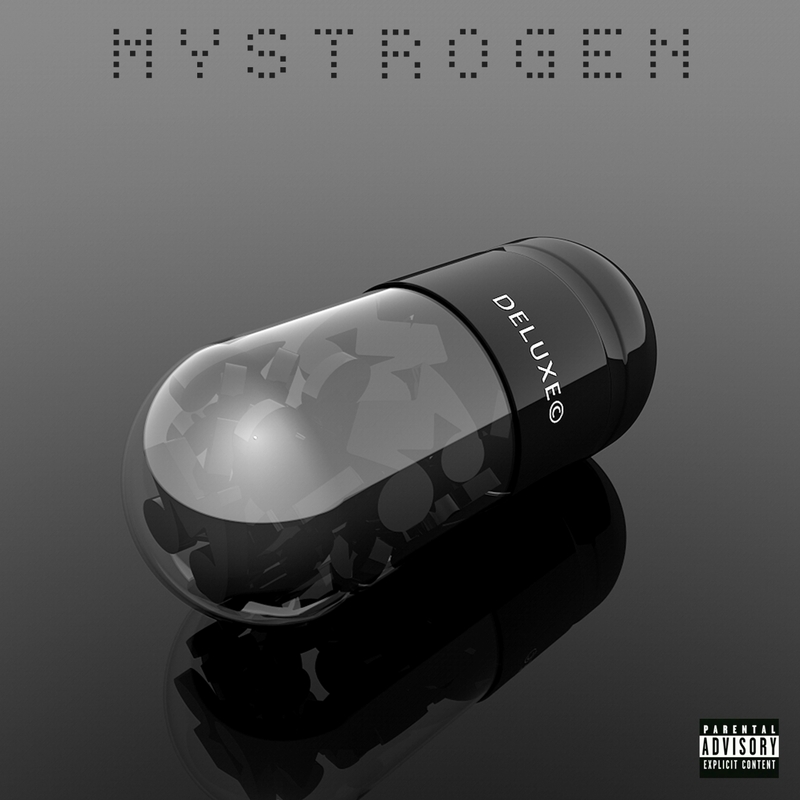 Falcone’s drums are taut, mechanistic; Ferm’s bass ranges from the aggressive rattle of an AmRep classic to smoother, hip-hop inspired lines. McKnight, meanwhile, lends spacier, textural riffs to complement Dupuis’ wiry, melody-driven guitar style. “The demos for our songs have always had tons of small details and production experimentation, but we never had any money to pay for more than a couple days in the studio, so the songs came out very live-sounding and guitar heavy,” Dupuis says. It was recorded and mixed at Brooklyn’s Rare Book Room with Nicolas Vernhes (Silver Jews, Enon, Deerhunter), with the record mastered by Emily Lazar (Sia, Haim, Beauty Pill), lending a more polished sound and a pop sensibility that will stand out to existing fans and new converts alike. For all the lyrical complexity and guitar-based excursions Speedy Ortiz have built their reputation on to this point, Foil Deer has a sense of light-footed fun. What’s the point of doing things yourself if you’re not going to enjoy the trip? 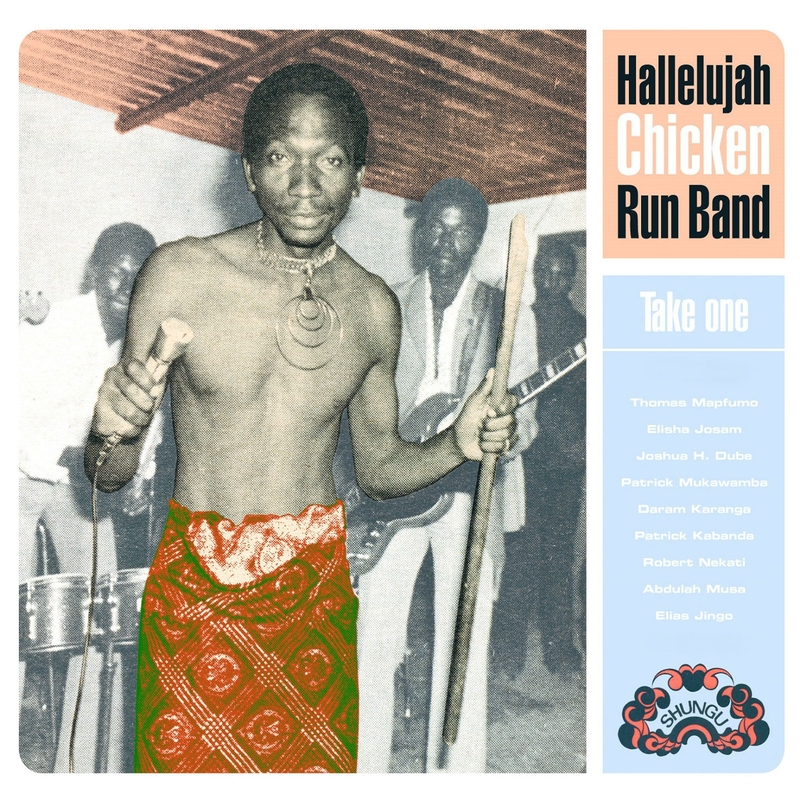 The Hallelujah Chicken Run Band was one of the seminal bands that formed the explosive Zimbabwean music scene in the 1970s and one of the first acts to develop the staccato style of guitar playing for which Zimbabwe is known today. Upbeat, vibrant and catchy, as well as beautiful and emotional, their music can now be explored on this compilation. ‘Take One’ presents HCR’s biggest hits (including a series of singles for which the band received eight gold records in 1974), as well as rare songs, all recorded between 1974 and 1979, compiled from vinyl records and the original master tapes found in Zimbabwe, all painstakingly remastered. During HCR’s most active years Rhodesia, as Zimbabwe was called then, was between its British colonial past and full independence. HCR was one of the first modern groups to sing in the Shona language – which most of the White minority government could not understand – this in itself was a major act of liberation and protest against the Rhodesian government. Alongside the occasional love song the compilation, political songs and songs of liberation prevail. The collection features a handful of appearances by Thomas Mapfumo, one of Zimbabwe’s biggest and most influential artists, on drums and vocals. Whilst playing with HCR Mapfumo began to explore the traditional music of his Shona people and adapted this to modern rock instrumentation, transcribing the scale of the mbira (or thumb piano) to electric guitar with HCR guitarist Joshua Hlomayi Dube. In the 70s many home-grown African pop bands were funded by their respective culture ministries; HCR though was funded by the white owners of the Mangura Copper Mine. The owners believed that the mine workers, many of them from neighbouring Malawi, would benefit from some musical entertainment after long shifts. Trumpet player Daram Karanga was hired in 1974 to assemble the group. Two members of the group at the time found day jobs working at a local chicken farm (chicken run). Upon hearing this, the mine’s boss shouted ‘Hallelujah!’ – and then proceeded to christen the band with the name Hallelujah Chicken Run Band. When the group first started performing at the mine they played a lot of rumba, cha cha cha and soul covers. Whilst the white management liked this, it didn’t prove popular with the mine workers. Instead it was the traditional ‘Zim style’ songs made them go crazy and this was the direction they then went into. The band’s popularity quickly grew, and they were asked to perform at many different events throughout the country. In 1974, HCR won the first national music contest held in Harare for the Teal company. There they were also discovered by legendary producer Crispen Matema with whom they later recorded a well-known studio session, from which many of the tracks on this collection are drawn. 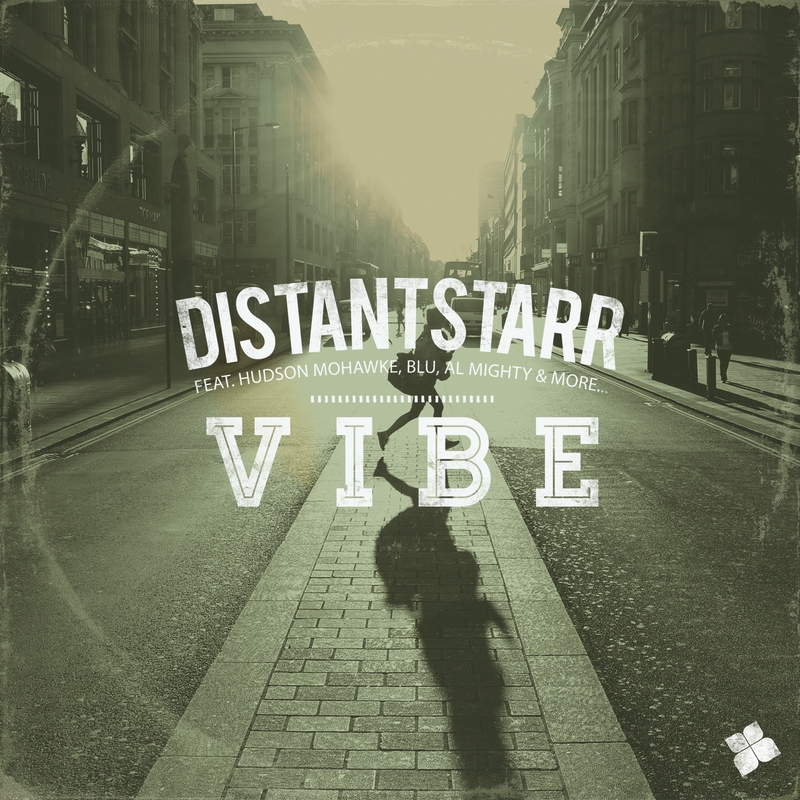 Donnell Jones aka DistantStarr is an artist who knows a thing or two about paying dues. Having spent the last 5 or so years recording countless collaborations with the likes of Fulgeance, DJ Scientist, Hudson Mohawke, Redefinition and Mike Slott to name a select few, he is only just releasing his debut long-player. Simply entitled “Vibe”, the album is a collection of new unheard tracks, mixed with a few hard-to-find colabs from the last few years, featuring Blu, Kissey Asplund and many more!